Count me out of the parade of morons mourning scumbag propagandist Mike Wallace. He was no journalist. Just a smug, arrogant, agenda-driven fraud who said he admired mass-murderer Yasser Arafat and went out of his way to defame Israel and American patriots who served our country. The man was a lying, bigoted, anti-Israel, America-hating piece of crap who compared Israel to Islamic terrorists, lionized the Palestinians, never asked tough questions to Yasser Arafat, and crucified Israeli leaders, like Menachem Begin. And that’s not to mention how this cretin deliberately defamed a real American patriot, General William Westmoreland, for his role in the Vietnam War, which Wallace and his fellow liberals were against. He attacked America while we were in Vietnam and helped us lose the war in the media while we were winning it on the ground. He attacked Ronald Reagan, the Shah of Iran, business owners, and every other force of stability and or good in America and the world, helping to usher them out. I find it interesting that missing from the eulogies and beatifications for this schmuck, Wallace, are his jokes about how Blacks and Hispanics would easily get ripped off by the California banks because it’s hard to understand contracts “if you’re reading them over watermelon or tacos.” (This charlatan invoked his long-forgotten and self-despised Jewish heritage to get out of the flap over his dumb comments.) But liberals like him can–and did–get away with this stuff. Because, hey, he did years of sympathetic interviews with Yasser Arafat and other liberal pet figures, so anything goes. Read some excerpts of Wallace interviews with Arafat. They couldn’t have been more soft and uncritical. Also missing from the remembrances of Wallace are that he usually got the facts wrong, in addition to skewing his reports to his agenda. For example, if you watch the sympathetic video, below, of Wallace describing the Palestinians “struggle,” and showing Israelis as morally equivalent to these bloody terrorists, you’ll note that Wallace reported Yasser Arafat’s birthplace as Jerusalem. Reality check: Arafat was born in Cairo, Egypt. And he lied about numerous other things. In the video, Wallace shows his friend, Kamal Nasser, the late PLO spokesman, saying that “Zionists invented terrorism.” Wallace never questions it, and in fact, makes that his narrative, telling us about “Jewish terrorists,” as he grills late Israeli Prime Minister Menachem Begin and invokes the King David Hotel bombing. But he fails to note that the King David Hotel was only bombed after phone call warnings left by the Irgun seven days before that they were going to bomb it. There was ample warning to the British that it was a target. It was done because the British used the hotel as their command center, had arrested 2,500 Jews, killed several innocent Jews, some of them Holocaust survivors, for absolutely no reason, and helped prop up Arab terrorists against the Jews. 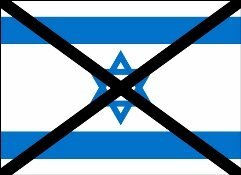 The British had also seized documents from the Jewish Agency about its intelligence on Arab activities, turning it over the Arabs and sending many Jewish spies to certain death. It was war. In the video below, Wallace mourns the death of Yasser Arafat on “The Charlie Rose Show.” He describes to Rose “how good-looking” Arafat was. “He had soulful eyes . . . . I liked him. . . . My eyes were opened about the Palestinians.” Seriously? 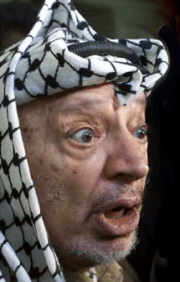 Yasser Arafat . . . good-looking? This is what a fraud Mike Wallace was. He just oozed fertilizer if it helped bolster his false agenda. He also went on to tell Rose that then-Israeli Prime Minister Ariel “Sharon created the Intifada [Palestinian terrorist uprising]” by visiting the Temple Mount. Huh? While that was the Palestinian excuse–that an Israeli leader should not visit the holiest of Jewish sites because it offends Muslims, it was well-known and documented that Arafat and the Palestinians had planned the terrorist uprising long before and were immediately ready to go. The speeches ginning people up were featured in Palestinian newspapers, on Palestinian TV, and in Palestinian mosques for weeks. But that’s the point with Mike Wallace. He never reported. He merely lied and carefully left out or flat-out fabricated “facts” to fit his agenda. There were stories that Wallace was paid off by the Muslims. And I wouldn’t put that–or anything else–past him. His anti-Israel reports were that bad and that manufactured. My own cousin, an Israeli journalist who worked for both Israeli TV and shot footage for CBS, saw that was the case, and repeatedly complained to his friend, then-CBS President William S. Paley. My cousin told me there were many far worse anti-Israel “reports” Wallace did that never aired because he and other Israelis complained. The sad thing is that many Wallace reports on Israel, the Middle East, Vietnam, the American military, and plenty of other topics did air. And most of them were just a stream of lies spread to the gullible American public, which for most of his career had only three channels to choose from and most of them were glued to his “60 Minutes” disinformation. Wallace was far worse than the Keith Olbermanns of this world because he actually pretended that what he was serving up was objective news, not the partisan, left-wing crap it really was. 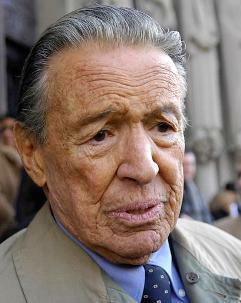 At age 93, Mike Wallace lived far too long a life for the piece of dung that he was. But, now, courtesy of G-d, he’ll get his and meet up again with his boyfriend, Yasser. Mike Wallace, I hope you packed your summer clothes. It’s hot where you’re going. Mike Wallace, Rot In Hell.